You could say that eccentric roles are Johnny Depp's specialty. In Disney's The Lone Ranger, Johnny Depp gives a standout performance as the peculiar Native American, Tonto. Despite their initial differences, Tonto has partnered with his 'Kemo Sabe', the Lone Ranger, and together they ride on an adventure to bring justice to the Old West. 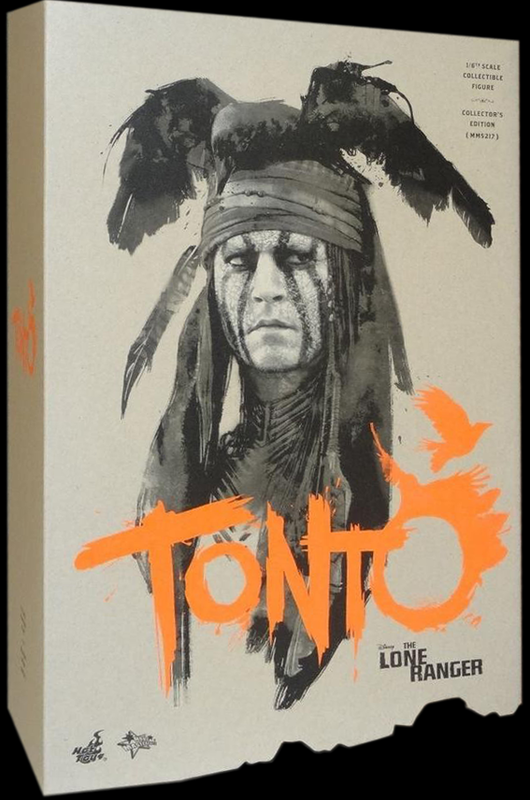 The movie-accurate Tonto Sixth Scale collectible figure from Hot Toys is specially crafted based on the likeness of Johnny Depp as Tonto, featuring a detailed hand-painted head sculpt, real fabric hair, weapons, and a number of finely-made tribal accessories.